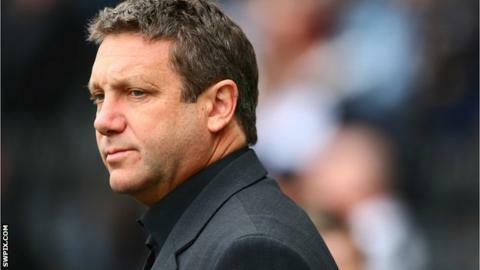 Hull FC coach Peter Gentle will not be returning to Australian side Wests Tigers, according to director of rugby Shaun McRae. Gentle has been linked with a return to the NRL side, where he was formerly assistant, after they parted company with Tim Sheen. "I can say with 100% certainty that Peter is not going anywhere," McRae told BBC Radio Humberside. "He is committed to the club and he has no desire to go back at the moment." McRae added: "He's an extremely loyal person and he thoroughly enjoyed his first year with the club. "I think it's flattering that he's been associated with the position but he's very happy here." Gentle joined the Black & Whites last September after six years on the staff at the Tigers. The 47-year-old led the KC Stadium outfit to sixth position in Super League before their play-off campaign was ended by Warrington on Saturday. He has already started recruiting heavily for next season, with eight new signings already confirmed for the 2013 campaign.